Geology used to be considered unsuitable for women, who were banned from places such as mines, tunnels and oil rigs because it was believed that they might bring bad luck. The first women to be employed as professional geologists did not have an easy time in a male-dominated discipline. Philippa Black studied geology at the University of Auckland. She has published pioneering papers on the geology of Northland and New Caledonia, and has worked in the fields of mineralogy, coal petrology and rock properties. She was appointed professor of geology at Auckland in 1986, and was head of the department for 15 years as well as holding senior administrative positions within the university. 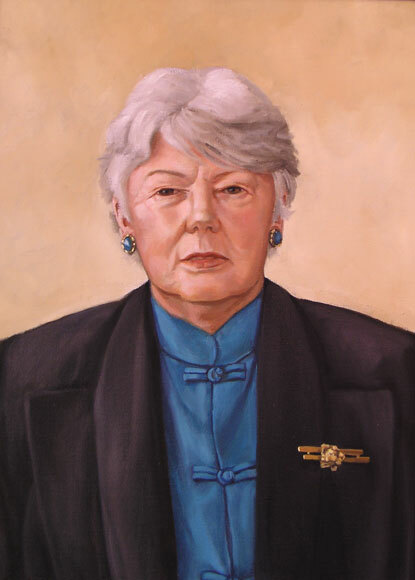 Black was appointed a fellow of the Royal Society of New Zealand and was president from 1993 to 1997 – the first woman to hold that position. This portrait hangs in the Royal Society’s headquarters in Wellington. Permission of the Royal Society of New Zealand must be obtained before any re-use of this image.